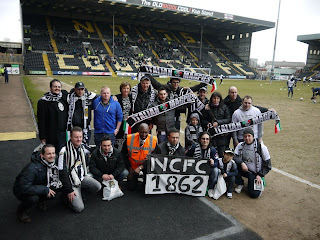 Italian Magpies: Thank You Magpies! 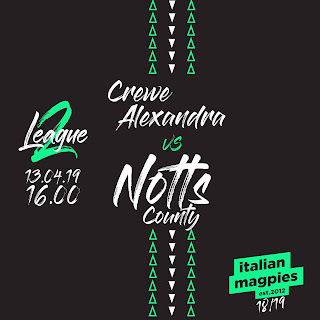 Luca Cignatta, Cesare Alberici, Daniele Merigo, Manuela Bellocchi, Roberto Colombo, Stefano Panzeri, Tommaso Ambrosio, Luca Colombo, Giorgio Zunino, Paolo Abba, Romeo Abba, Felice Addeo, Max Giara and all the Italian Magpies would like to thank all the Notts County fans who made their two days so special. We would like to thank all the guys who came to meet us, all the fans and the staff of Notts County Football Club. We also would like to send our special thanks to Aileen and Ray Trew, Andy Black and his family, Paul and Lindy Street, Joshua Shore, Jurgen Halligan, Lynn Lawson, Anthony McLean, Yvonne Jago, Christopher and Jake Buckley, Iris Smith, Jon Marshall, Andy Stokes, Stewart Gilder, Steve Shepherd....and many many others!